Are You Podcasting on Pandora, iTunes, and Spotify? And podcasting is the generous act of showing up, earning trust and authority because you care enough to raise your hand and speak up. And a way to share your ideas, to lead your community, to earn trust. My story of becoming a podcaster is a more humble one. 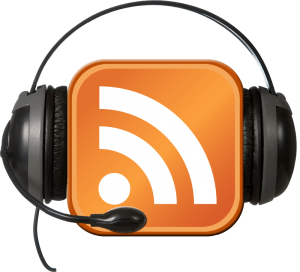 When I first came online in 2006 I heard stories of being able to broadcast your voice through something called RSS (really Simple syndication) and I even purchased a couple of books on how to do this. I believe one of these was a “Dummies” book and I may even have this in my library to this day. But the technology was way over my head and I soon let this go by the wayside. Fast forward to 2010 and now there are podcasts popping up all over the place, in a variety of niches and on diverse topics. Some are hosted by celebrities, authors, and people who are household names. But many of these new podcasts are produced by people just like you and me – those who have a message to share with others and want to use their voice to spread the word. 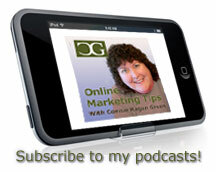 A year later and I have launched my first podcast series on online marketing. 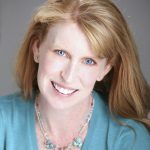 It’s an interview format where I have a new guest each week to discuss popular topics of interest to other online entrepreneurs. I began by interviewing my friends, people such as the legendary Marlon Sanders. During that first year I produced fifty-two episodes, including fifty interviews and two I do alone – one in July with an Independence Day theme and another the last week of the year to give my thoughts and predictions for the upcoming new year. 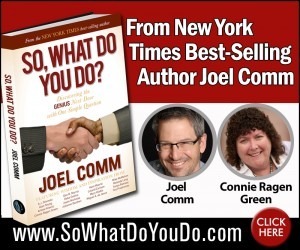 The next year I added a second podcast that consisted of the replays of my regular “Ask Connie Anything” open teleseminars. 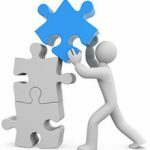 The combination of both of these was very good for my business and I attracted new prospects every single week. 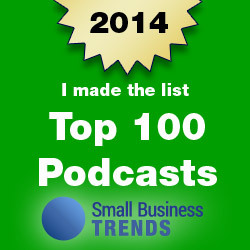 For two years in a row my podcast is named as one of “Top 100 Podcasts” of the year. Then it happens. Someone contacts me to say they cannot locate my original, interview format podcast in iTunes. I do some investigating and it turns out iTunes claims my feed has broken. I contact two people on my tech team and they are unable to find out any details and believe the feed is still active. I hire a podcasting consultant who digs around and comes up with nothing. I throw up my hands in surrender. I see this as a sign that I am to stop podcasting and start anew after a hiatus. The hiatus is over. My new podcast has now debuted. After all, you only need a topic, a name for your podcast (my new podcast is called “Praestabilis”, a Latin word meaning excellence, outstanding, pre-eminent, remarkable, magnificent, splendid), a WordPress site, a new domain (mine will be hosted at ConnieRagenGreen.live) and an inexpensive microphone. Podcasting can be done from your home office, or from almost anywhere in the world you happen to be. And now that there’s podcasting on Pandora I have a goal of being added to that venue in the next six months. My guide for all things podcasting is Mike Stewart. I met him the second year I came online, in 2007, and even back then he stood head and shoulders above anyone else in this space. When I had tech difficulties with my podcast I mentioned above, I should have contacted Mike first. But if I had I would not have grown as an entrepreneur and be where I am today. Mike and I hosted a webinar that I would like for you to watch. It runs an hour and ten minutes and is jam packed with information and details that will ensure your podcast is a hit. 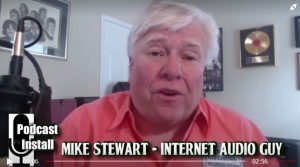 After you watch the webinar replay consider joining Mike’s training and starting your podcast the right way, the professional way, the way that will lead you to prospects and profits. I’ll be right there beside you to make sure you have all the support you want and need. 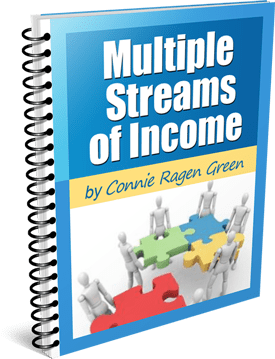 I’m Connie Ragen Green and I am here to serve you as an online entrepreneur. 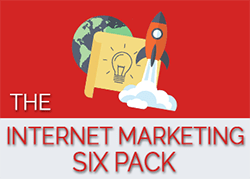 If you’d like to join the podcasting training taught by Mike Stewart and be included in a group podcast marketing project at no additional cost, get registered here and then let me know you have come aboard so I may add you to the private group. I am in and very excited about podcasting!